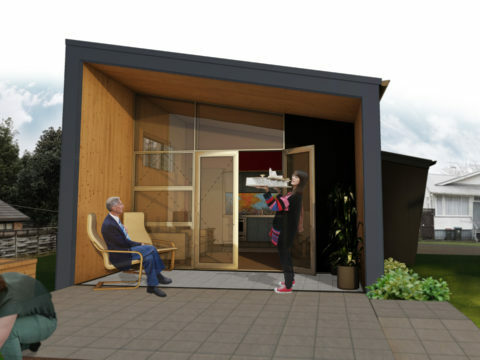 Aonui’s Te Whare-iti is a winner in the PrefabNZ SNUG house design competition for small affordable homes for Auckland city! Whare-iti can suit a range of sites, and spaces as narrow as nine metres. Box-forms plug into a services core in a variety of configurations to best suit yard size, sun, views, access and budget.